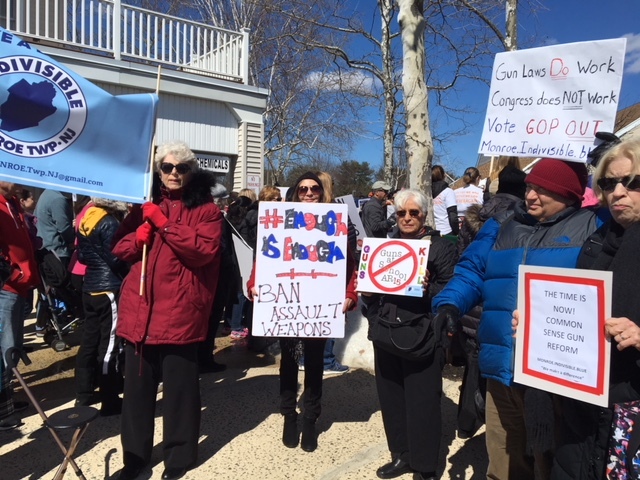 Monroe Indivisible joined with the students in Freehold in their walk to end gun violence in our schools and advocate for comprehensive gun reform. They are replacing thoughts and prayers with action. It’s long past time our lawmakers make students’ lives and safety a priority and pass commonsense gun safety legislation. Members of Indivisible are proud to support them.